Interventional Cardiology Review (ICR) is a peer-reviewed journal which aims to assist physicians to stay abreast of key advances and opinion in interventional cardiology practice. ICR provides comprehensive reviews on a range of pertinent issues to support physicians in continuously developing their knowledge and effectiveness in day-to-day clinical practice. Led by Editor-in-Chief Simon Kennon, and underpinned by section editors and an editorial board of world-renowned physicians, ICR is comprised of peer-reviewed articles that aim to provide timely updates on the most pertinent issues interventional cardiology. 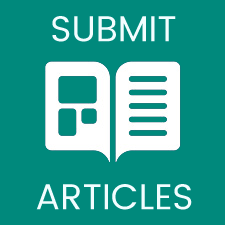 For information on submitting an article, please contact the Managing Editor, ashlynne.merrifield@radcliffe-group.com. Frequency: Three print issues per year (January, May and September); ePub ahead of print throughout the year. Indexing: PubMed, PubMed Central, Crossref, Emerging Sources Citation Index (ESCI) and Scopus. ICR aims to assist time-pressured physicians to stay abreast of key advances and opinion in interventional cardiology practice. The journal comprises balanced and comprehensive articles written by leading authorities, addressing the most pertinent developments in the field. ICR provides comprehensive updates on a range of salient issues to support physicians in continuously developing their knowledge and effectiveness in day-to-day clinical practice. ICR is comprised of review articles, expert opinion articles and guest editorials. The structure and degree of coverage assigned to each category of the journal is the decision of the Editor-in-Chief, with the support of the Editorial Board. ICR is guided by overall direction from an Editor-in-Chief, supported by the Section Editors and the Editorial Board, comprising leading authorities from a variety of related disciplines. The journal’s contributors are recognised authorities in their respective fields. Peer review is conducted by experts appointed for their experience and knowledge of a specific topic. ICR is produced by an experienced team of Editors and Technical Editors. On submission, all articles are assessed by the Editor-in-Chief to determine their suitability for inclusion. The Managing Editor, following consultation with the Editor-in-Chief sends the manuscript to reviewers who are selected on the basis of their specialist knowledge in the relevant area. All peer review is conducted double-blind. Following review, manuscripts are accepted without modification, accepted pending modification (in which case the manuscripts are returned to the author(s) to incorporate required changes), or rejected outright. The Editor-in-Chief reserves the right to accept or reject any proposed amendments. Once the authors have amended a manuscript in accordance with the reviewers comments, the manuscript is assessed to ensure the revised version meets quality expectations. The manuscript is sent to the Editor-in-Chief for final approval prior to publication. Contributors are identified by the Editor-in-Chief with the support of the Editorial Board and Managing Editor. Following acceptance of an invitation, the author(s) and Managing Editor, in conjunction with the Editor-in-Chief, formalise the working title and scope of the article. Leading authorities wishing to discuss potential submissions should contact the Managing Editor or view the Information for Authors page. Radcliffe Cardiology provides free-to-access educational content to cardiologists and allied healthcare professionals. The vast majority of our content is editorially independent, developed at our own cost. Print and eBook adverts at the front and back of the journals (never within the journal text). Pre-roll video adverts (as pre-cursors to our independent content). Promotional/supplemental content (published as supplements to our peer-reviewed journals). Supported webinars, roundtable discussions, video interviews and live cases. Continuing medical education (CME) activities. To support open access publication costs, Radcliffe Cardiology charge an Article Publication Charge (APC) to authors upon acceptance of an unsolicited paper as follows: £1,050 UK | €1,200 Eurozone | $1,369 all other countries. A 100% waiver is available for all papers which are solicited directly from Radcliffe Cardiology. Authors from low-income countries as defined by the World Bank are eligible for a full waiver of the APC charge. Authors from middle-income countries are eligible for a 50% waiver. Discretionary waivers may also be considered. Radcliffe Cardiology remains dedicated to helping researchers to disseminate scientific information globally and is actively working to partner with individual institutions to offer full or partial APC discounts. Institutional agreements will be listed here. If you are an institution looking to partner with us, or think your institution should, then please contact the Publishing Director. To ensure editorial integrity, the waiver process is not handled by the journal Managing Editors. Authors should submit a waiver request during the electronic submission process. ICR is distributed through controlled circulation to senior healthcare professionals in the field in Europe. Articles published within this journal are open access, which allows users to copy, redistribute and make derivative works for non-commerical purposes, provided the original work is cited correctly. The author retains all non-commerical rights for articles published under the CC-BY-NC 4.0 license. Radcliffe Cardiology retains all commerical rights for articles herein unless otherwise stated. Permission to reproduce an article or any of its contents for commerical purposes, either in full or in part, should be sought from the publication's Managing Editor.